Matcha is the bright green powder that everybody’s talking about these days. 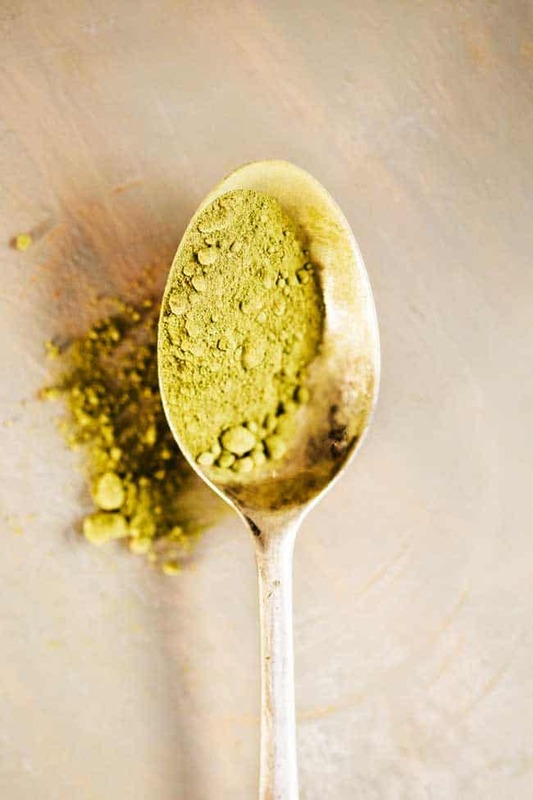 An antioxidant wonder, an energy booster, and an effective mind calmer, I would simply say that matcha is a superfood which often replaces my morning coffee, and here’s why. There are many reasons to try using this Japanese wonder with the incredible nutritional profile. Matcha doesn’t cause the increased heart rate like you get from espresso or coffee or the acidity and stress those exert on your liver. Everything about matcha is Zen – its perfect green tone, its restoring effect on your body cells and, of course, the comforting calm awareness it gives your mind after drinking its brew. It contains caffeine, because it is made from ground green tea leaves and it preserves all its qualities in high concentrations. For example, a cup of matcha drink contains 70 milligrams coffeine, almost as much as a similar coffee serving. It contains L-theanine, which gives your mind a calm alert and awareness, and not the instant boost and later crash that coffee is renown for. This is the reason why Zen monks used matcha drinks before meditation. It supports the natural detox function of your body cells, given its high load of plyphenols antioxidants. These reduce the oxidative stress and the damage caused by free radicals, diminish the risk of heart attack and chronic disease while also slowing the aging process. 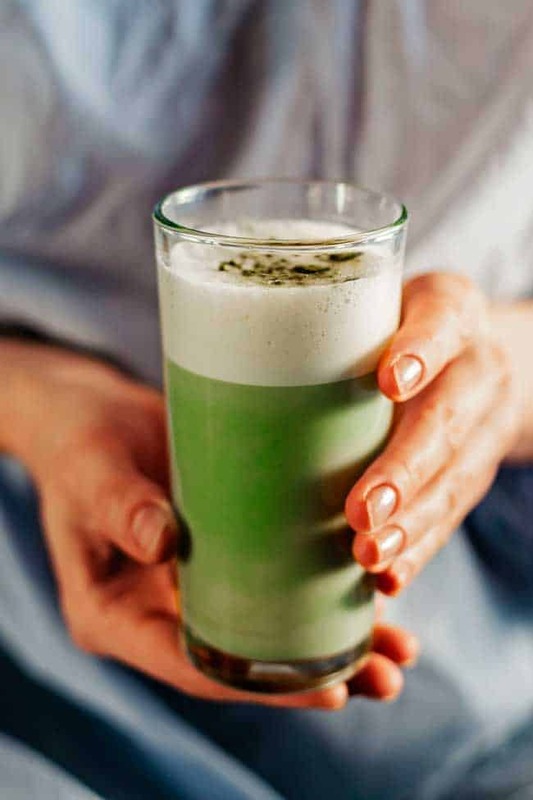 And there are more interesting facts about matcha, like the fact that you can add it to your favorite dishes, like tarts, porridges and cakes, but you can start with this matcha latte recipe. A bright green colored, energy boosting and antioxidant-rich beverage, this matcha latte is the the best way to improve your morning ritual. Place the vegan milk and matcha powder into the blender and process until foamy. Pour into serving mugs, add the sweetener of choice, then serve. Very interesting! I`ve never tried it before, but will do it. Yes, you’re right, perfect green tone with no increased heart rate, healthy. Thanks for your recipe. love the recipe! which brand of powder would you recommend? thanks! I like green tea, and I’ve had matcha out in coffee shops before, and I like it too. I guess I’m just not sure what the difference is. And why I would buy matcha over just getting green tea?